Paris is a feeding ground for hungry snap-happy tourists. The streets are loaded with remarkable architecture, formidable cathedrals and historical landmarks. 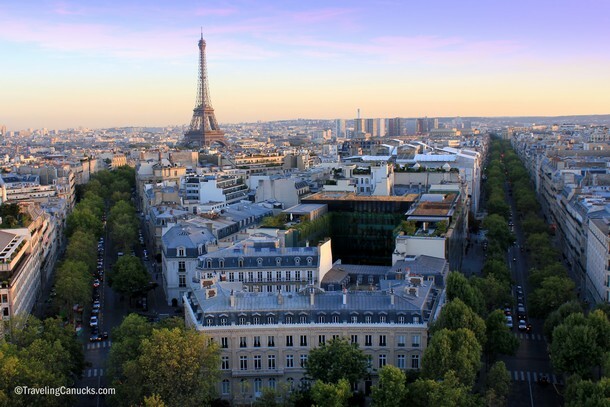 Without question, the city’s star attraction is the Eiffel Tower, the tallest structure in Paris and the most-visited paid monument in the world. 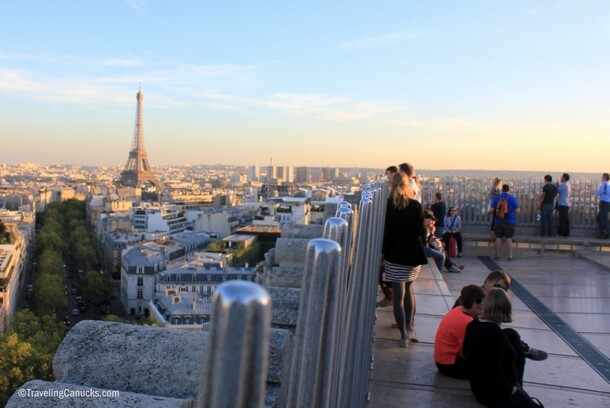 Tourists flock from around the globe to capture the exquisite Parisian cityscape from its popular viewing decks. In peak season, it’s not uncommon for visitors to wait upwards of 3 hours just to reach the observatory platform. 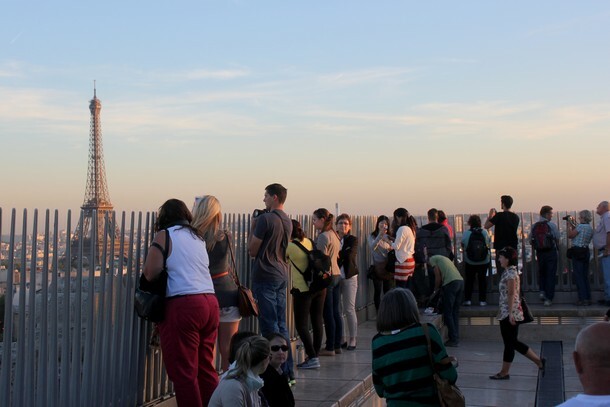 But, what many tourists don’t know is that there’s another fantastic viewing deck that rivals that of the Eiffel Tower. 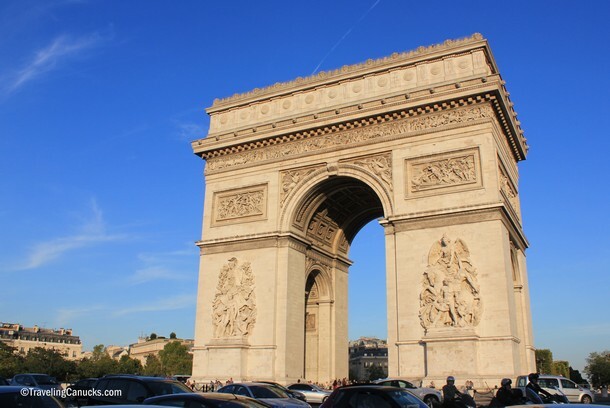 Proudly standing at the centre of Place Charles de Gaulle, on the western end of the Champs-Élysées, the Arc de Triomphe is no stranger to the sightseeing circuit. 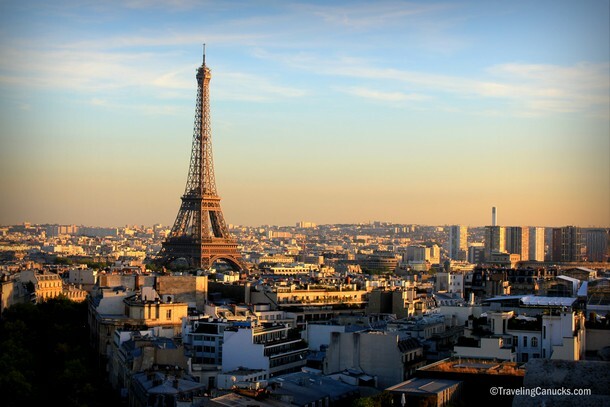 It’s one of the most photographed landmarks in Paris. 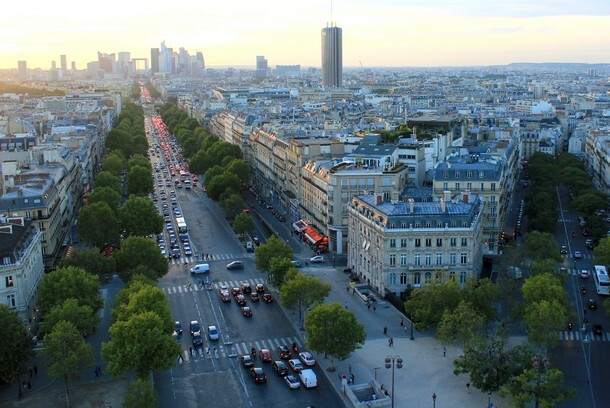 However, if you’re like us, you might not know the Arc de Triomphe has a rooftop viewing deck that offers spectacular views of Paris. 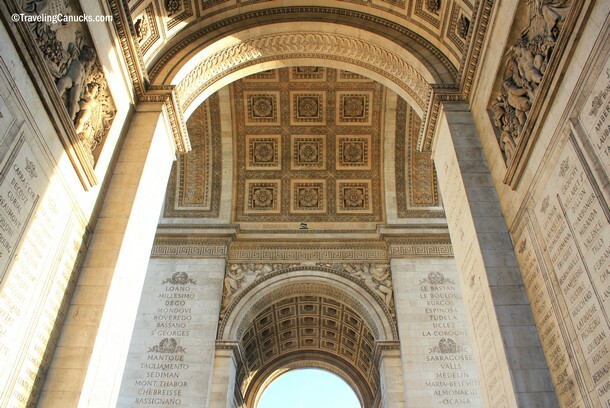 When we traveled to Paris in 2009 we visited the Arc de Triomphe and snapped a few standard tourist shots, admiring the elegant monument from ground level. 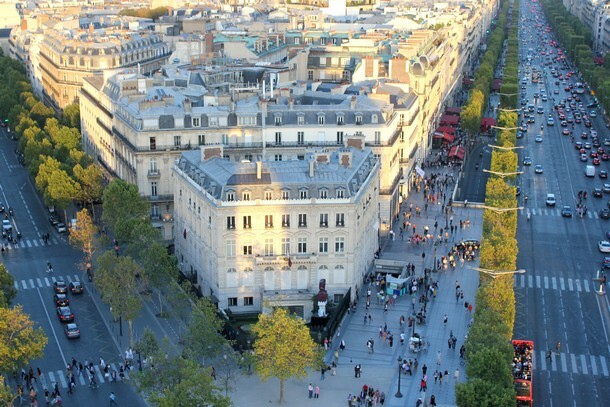 We circled the enormous roundabout but could not find a crosswalk that lead to the base of the Arc. The traffic was far too thick and aggressive to attempt crossing on foot, so we moved on and assumed it was inaccessible to the public (we were visiting during winter, so there were no tourists visible). When we returned to Paris, we learned of our silly mistake. 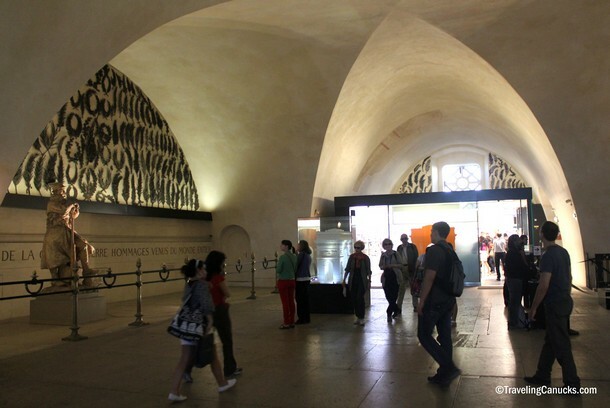 There is an underground tunnel that leads to the base of the Arc de Triomphe, safely avoiding the traffic chaos above. Doh! Not willing to brave the endless Eiffel Tower lineups (especially with a one year old baby), we decided to revisit the Arc de Triomphe and see the views from its observation deck. At less than 10 Euros, it’s also a cheap alternative to the Eiffel Tower. The only catch is that you have to do some stair climbing. To access the viewing deck, you can either climb the 284 steps or take an elevator to mid-level and climb 64 stairs to the top. 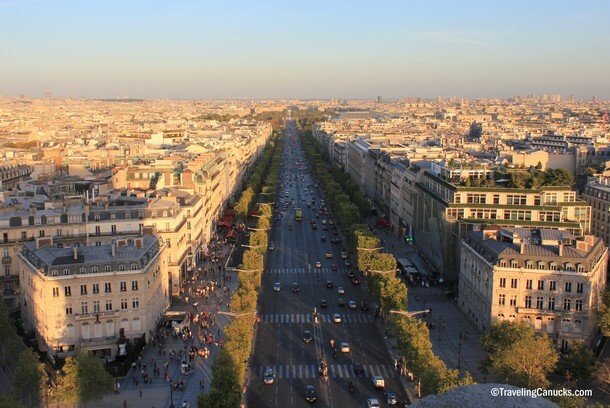 Here are a few photos captured from a summer evening on top of the Arc de Triomphe. As you can see, the views are quite spectacular! 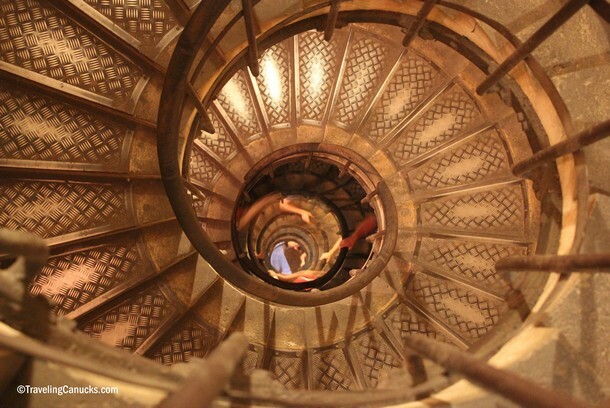 The windy staircase inside the Arc de Triomphe. Inside the Arc de Triomphe at mid level. It’s quite big. 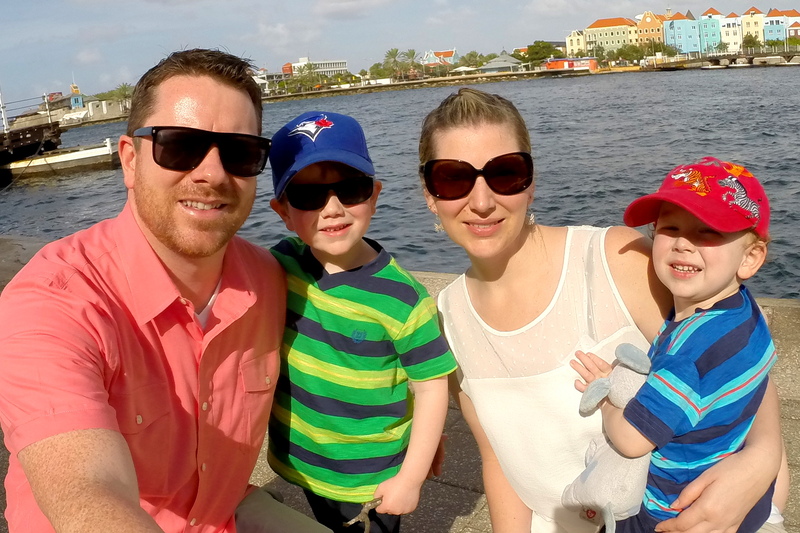 Lisbon totally exceeded our expectations! Here’s what we did. 30 Photos of Porto that prove it should be on your travel list Here’s what we did on our Portugal River Cruise with Viking We’re going to Portugal on a River Cruise! Stunning shots! What camera do you use? I’ve been to Paris many times but can you believe I’ve never actually made it up to the top of the Arc! I feel like it’s a major faux pas Lol! We use a Canon T3i. 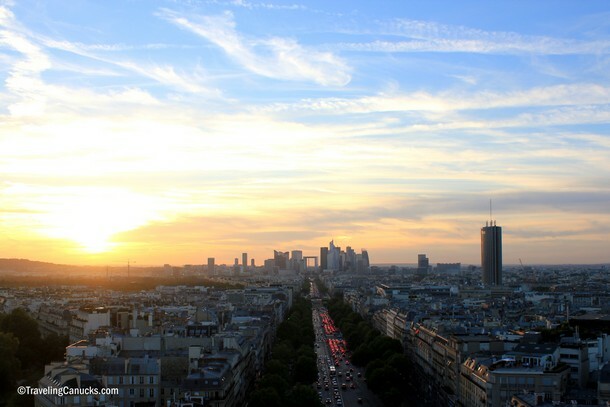 Next time you’re in Paris give the Arc de Triomphe a visit at sunset – you’ll be glad you did! When we were in Paris last year so we only saw the Arc from a distance but now I see how much we missed! We plan on going back so Im definitely going to explore this more, it looks amazing!! We did the same thing on the previous trip to Paris – and we almost didn’t go to the viewing deck this time around – but we are so glad we did. When I visited Paris I’d heard that there is a car accident on the roundabout surrounding the Arc every 10 minutes. I decided that I would watch the traffic until I saw one and started timing… 7 minutes later I saw a car side swipe another and one left the intersection without its side mirror. Great photo Gallery, I like your all Photos. Truly a spectacular place! I loved the spiral staircase photo. Spectacular photos! 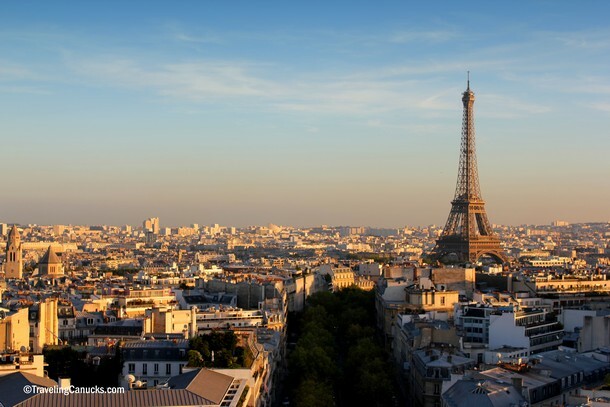 You caught Paris in the most perfect light! And you basically just convinced me to purchase my night bus ticket to Paris for next week right NOW! Awesome shots guys! I love the pastel hues you’ve captured. 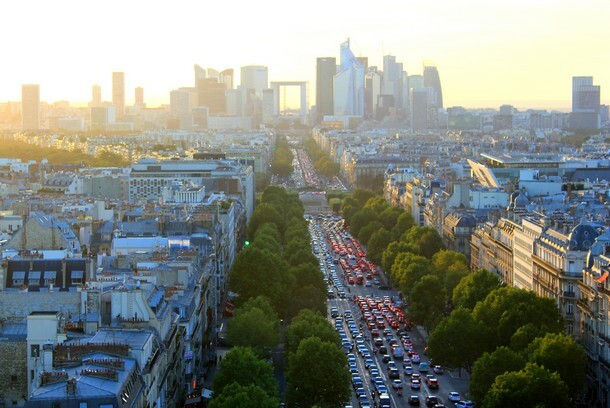 Looking down on La Défense is quite the view! Very nice! Just stumbled it – didn’t know there was an observation deck up there and will check it out next time in Paris! I love the spiral staircase shot! The first time I was in Paris I saw the Arc but didn’t go up. I was hoping to do it when we were there this past September, but didn’t make to that part of the city at all. Paris is one place I could keep going back to again and again and I still probably wouldn’t see it all! 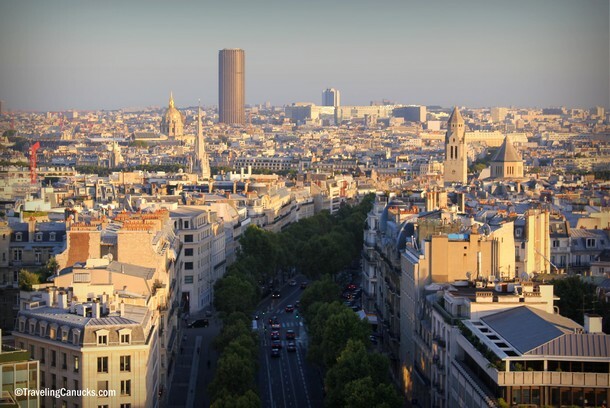 It seems a little bit like a cliche to visit the Arc du Triomphe in Paris, but it is the place to see the best view above Paris. 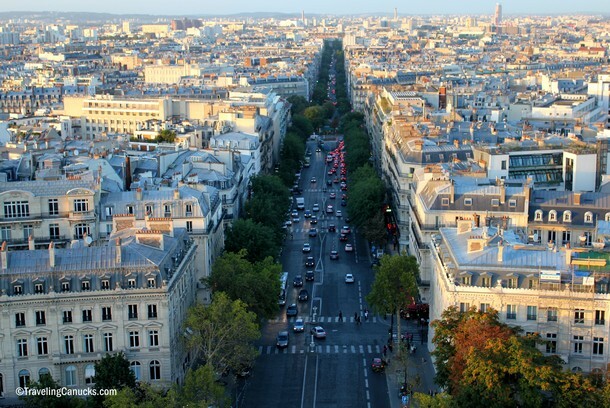 It’s an experience that no one can miss when visiting Paris.